The library’s assets mainly include published documents (books, magazines, multimedia) as well as other materials (graduation theses, press reviews, minor materials) that document knowledge connected to the main areas of the scientific work that the Foundation is engaged in: landscape management, Veneto history, history of games. The library also stores all the publications acquired during specific projects or initiatives and includes the bibliographic sections of complex archival collections. 60,282 books, 4,600 extracts, 1,047 graduation and master’s theses, 3,858 periodicals, 173 videocassettes, 818 CD-Roms, 329 DVD, 60 microfilms, 46 audiocassettes, 421 vinyl records. The magazine and periodical section offers a remarkably vast selection of titles from the sector, especially in reference to landscape. It includes 117 running subscriptions, 1482 single issues acquired due to their special thematic significance. 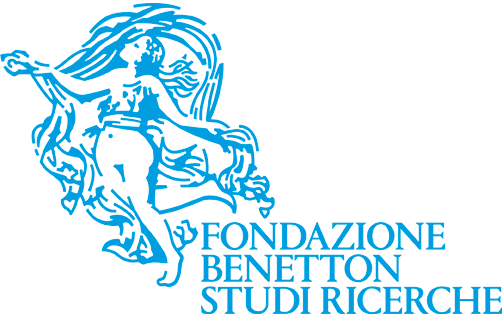 The collection of graduation and master’s theses includes winners of the annual “Gaetano Cozzi” scholarships, in addition to those produced following studies carried out at the documentation centre or systematically donated to the Foundation. 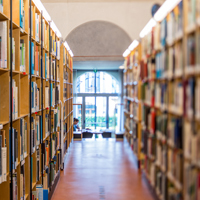 The library also stores all the publications acquired during specific projects or initiatives, and includes the bibliographic sections of complex archival collections. There are 39,230 cuttings (22,512 of them catalogued, 16.718 not catalogued but collected in thematic dossiers, 123 folders). From 2009 to 2014 the library curated the preparation of Bibliographic pathways as an instrument for in-depth analysis of its collections. The data contained on this page was updated on December 31st 2017.